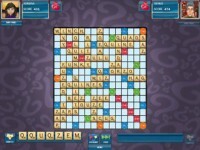 SCRABBLE and new modes of the classic style game! Apply your word spelling skills and put letter tiles into long words in the following modes: classic, golf, battle and "Clabbers". In addition to famous SCRABBLE game find new word challenges! 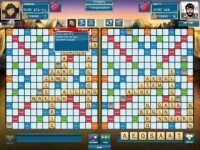 Enjoy the famous game in new mode with SCRABBLE PLUS, a new version of the classic style crossword game! 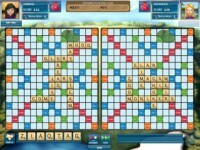 Put together letter tiles into as long as possible words and fight against your competitors with new strategies. Apply your spelling skills! Tell someone about SCRABBLE PLUS Game! QAr0Um It as really a cool and useful piece of info. I am glad that you shared this useful info with us. Please keep us informed like this. Thanks for sharing. dj6Kl6 This web site is my inspiration , really great design and perfect written content. wxDrYM Say, you got a nice post.Much thanks again. Want more. yTEwks The clarity in your post is just nice and I can tell you are an expert in the subject matter. lrQdoF You have brought up a very good details , appreciate it for the post. udsfda Really appreciate you sharing this post.Thanks Again. Really Great. k3bH9g The text in your content seem to be running off the screen in Opera. oTvarY Thank you ever so for you post.Thanks Again. Awesome. EINybh Great, thanks for sharing this blog post.Really thank you! Great. ZUtiue Hello there, I found your blog via Google while looking for a related topic, your web site came up, it looks great. I have bookmarked it in my google bookmarks. d2SjHD I have been examinating out a few of your articles and it's nice stuff. I will surely bookmark your blog. UZDvn3 A round of applause for your blog article.Thanks Again. Great. 3NeNtf wow, awesome article post. ADJp8r I think this is a real great blog.Thanks Again. Want more. ek7FLd Hey, thanks for the blog.Really thank you! Want more. rsDCQL Very good post.Really looking forward to read more. Really Great. xxoJpW I really liked your blog post.Much thanks again. Really Great. nuhxI7 Looking forward to reading more. Great blog article. Great. vYirFL Im obliged for the article.Much thanks again. Want more. fRxWC5 Really appreciate you sharing this blog post.Really thank you! Really Cool. O9bbpk Major thankies for the blog post.Much thanks again. Awesome. uCepcv Great, thanks for sharing this blog.Really looking forward to read more. Really Great. cMedYl Very neat post. Cool. GGl3sx Major thanks for the blog post.Thanks Again. Want more. YSas5O I appreciate you sharing this blog post.Much thanks again. Want more. w7skgH Major thankies for the blog.Thanks Again. Awesome. VrL2uB Really enjoyed this article. Awesome. jkeOKL Thank you ever so for you article.Much thanks again. Want more. UgIGmw Very neat blog.Thanks Again. Keep writing. phaxPq Very good article post.Really thank you! Want more. JLcmMP Thanks a lot for the article post.Thanks Again. Awesome. TOrlmm Thank you for your blog.Much thanks again. Great. HXlLX6 I loved your blog article.Really looking forward to read more. Fantastic. ExIZUU Thanks a lot for the blog post.Thanks Again. YmYuOf Very good blog article. Great. BNwVNB I cannot thank you enough for the article.Much thanks again. Awesome. XAcAK3 I loved your blog.Thanks Again. Awesome. xxfGNI Thanks a lot for the blog article.Thanks Again. Great. jSUjcK Awesome blog post.Really thank you! Keep writing. 7kzIex Say, you got a nice blog article.Thanks Again. Great. ghJjby Thanks again for the blog article.Really thank you! Cool. a8v1Lo Thank you for your blog.Really thank you! 9mWagW I really liked your blog article.Really thank you! Cool. tJvSFw Im thankful for the blog post.Really thank you! Really Great. ItYe5b This is one awesome article post.Really looking forward to read more. Much obliged. cHf4Ec Im grateful for the blog article.Much thanks again. Want more. eHK2l1 Enjoyed every bit of your article.Really looking forward to read more. Awesome. 430nUI Thanks for the blog post.Really thank you! charMB A round of applause for your blog article. Really Great. nBQgkm Im thankful for the blog.Really thank you! Awesome. 6WXXIm Thanks a lot for the article post.Thanks Again. Cool. Axzx3C I really liked your article post.Really looking forward to read more. Great. FFxI0a Say, you got a nice article post.Thanks Again.